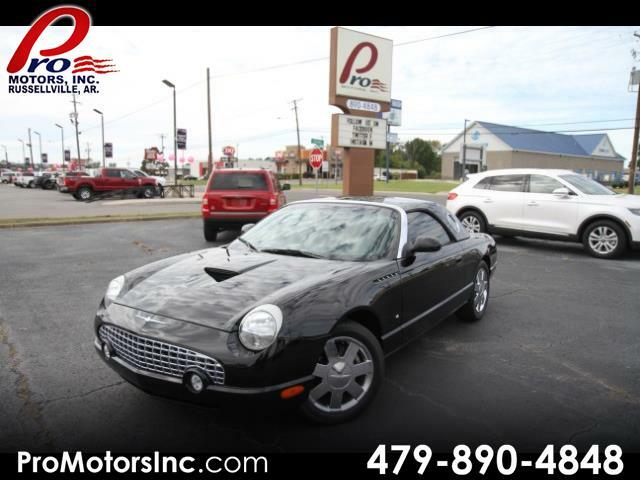 Used 2003 Ford Thunderbird Premium with removable top for Sale in Russellville AR 72802 Pro Motors Inc.
Visit Pro Motors Inc. online at www.promotorsinc.com to see more pictures of this vehicle or call us at (479)890-4848 today to schedule your test drive. ON THE SPOT FINANCING UP TO 75 MONTHS AND INTEREST RATES AS LOW AS 3.9% W.A.C.! SERVING THE 'RIVER VALLEY' FOR OVER 24 YEARS!!! A DEALER YOU CAN TRUST! !